The core view of scientific development is to put people first. By boosting the construction of ecology and livable urban rural areas, the greenway has improved people’s living standards in all aspects. It is the beginning of a new journey to enable both urban and rural residents to share the achievements of reform and development in creating a happy Guangdong. 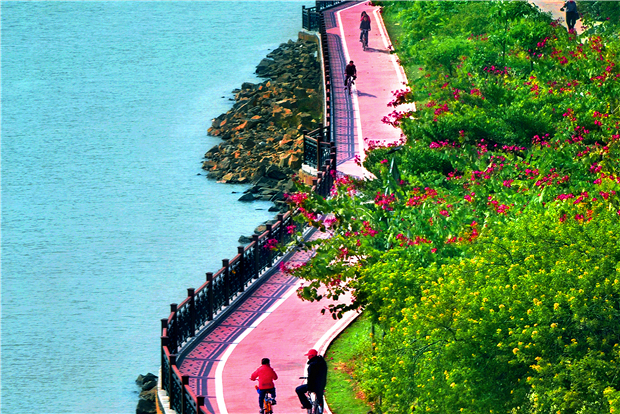 Along the Pearl River Delta Greenway, stretching nearly 5,000 km, there are urban, suburban, and ecological greenways. These three types of greenways effectively connect cities, rural areas, forests, parks, dwellings and so forth, providing a method of low-carbon travel and recreation for people while offering a convenient way to contact nature and get more out of life. Greenways extend into the countryside, boosting the exchange and integration between urban and rural areas and changing the life patterns of farmers. In the villages where greenways are located, the construction process is often accompanied by the improvement of area aesthetics and the laying of hard substratum for the earth roads. Meanwhile, “agritainment” tourist business has flourished along the greenways, where urban people have taken to wearing leisure clothing, riding bikes, eating local dishes, and enjoying weekend excursions, creating a new point of growth for economic development alongside greenways. As great changes unfold across the land, the Pearl River Delta once known as “the world’s factory” is now home to lush green scenery and a vigorous, tranquil and comfortable environment. 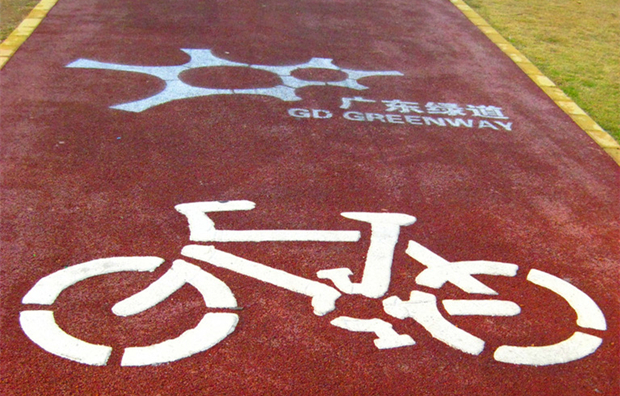 The provincial greenways around the Pearl River Delta total 2,372 km long, and with the exception of some sections that were built on top of former roads, a total of 1,841.5 km new greenways were newly built up in 2010. 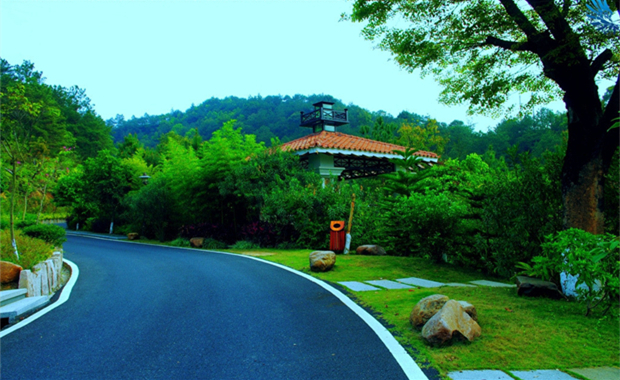 The construction of Guangdong greenways shows respect to nature, and conforms to the natural landscape; the greenways wind along roads, rivers and villages, making detours where there are woods and building bridges where there are rivers, and making full use of insignificant “scraps” like riverbanks, land borders and hills in city planning. Service areas are essentially rebuilt out of old workshops and abandoned buildings, the basic layout of scenic zones, water conservancy facilities and roads along the the greenways is maintained, and the broad space of parks and grass within a city is connected with outside lands such as natural reserves, scenic spots and tourist resorts. The greenway network is an ecological network within cities, and also an ecological bank of cities. The greenway network shows its ecological strength by following the requirements of ecology, locality, diversity and humanity, making full use of local advantageous resources, giving priority to local natural landforms, conforming to local situations and building up greenways with various themes and unique distinctions. In order to realize the goal of a “happy Guangdong,” the province may temporarily spare more for the environment by slowing down the speed of GDP. 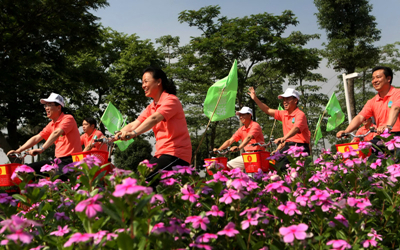 But the provincial greenways of the Pearl River Delta, a “string of happiness,” does not slow the economy due to its ecological construction; rather, it provides new opportunities for the development of appropriate industries in mountainous cities and counties, and boosts the green transformation and upgrade of industries while promoting the harmonious development both of urban and rural areas. 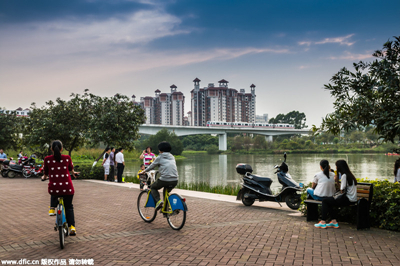 The urban greenways connect the financial heights and service zone of Guangdong, displaying the trend of the modern financial service industry, which have greatly improved the recreational environment of industrial workers and vigorously pushed forward regional industrial transformation. In the rural areas, greenway tourism has brought new sources of income, and boosted the great development of agritainment and recreational tourism. Farmers have changed their traditional pattern of production, transforming into urban service farmers. Moreover, greenways provide venues for playing modern sports. All places have taken into account local conditions to promote large-scale activities such as bicycling contests, encouraging urban people to take part in the contests. This has brought great economic, social and health benefits. 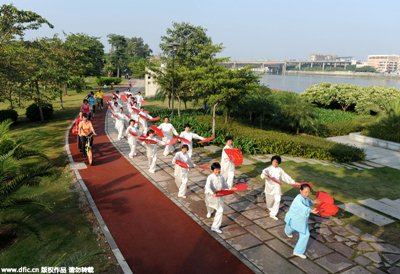 The entire connectivity of the provincial Pearl River Delta Greenway Network, which is more than 2,000 km long in total, has not only boosted the integration of geographical areas of the Pearl River Delta, but also fused even more vigorously its culture. As a coastal province of China, Guangdong is a place where both the Eastern and Western cultures collide, integrate and spread. It has created unique and lively Lingnan culture, fostered pioneering talents and heroes, and accumulated rich historical heritage, thus being viewed as a large province of tourism and culture by all. 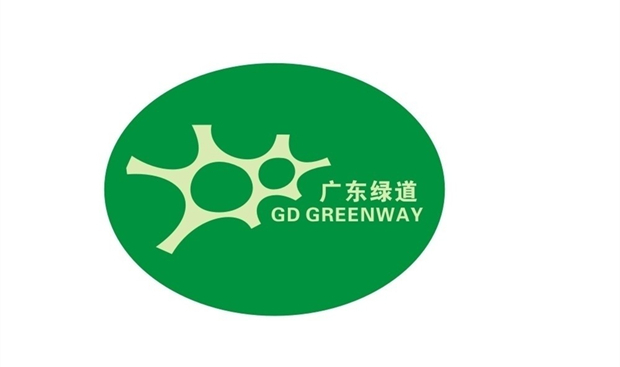 From the efforts of Guangdong in building itself into a powerful province of culture, greenway construction has satisfactorily adopted the factors of cultural construction, cultural advancement, and representing culture with the roads. It incorporates representative cultural scenic spots of the nine cities of the Pearl River Delta into its network, connecting cultural sites, traditional blocks and old villages, as well as a large number of facilities for popular science, culture promotion and education. These places include celebrities’ former homes, classical gardens, ancient and pseudo-classic buildings in urban areas, watchtowers, platforms, pavilions, ancient temples and rock carvings in the countryside.